To the east of Puning Temple is the Puyou Temple, another of the Eight Outer Temples near the Chengde Mountain Resort. Compared to Puning Temple, with its many colourful gate and temple halls, bell and temple towers, pavilions, stupas and the world famous giant Bodhisattva Avalokiteśvara, Puyou Temple is much less impressive as it is missing its main halls and the site is somewhat dilapidated. 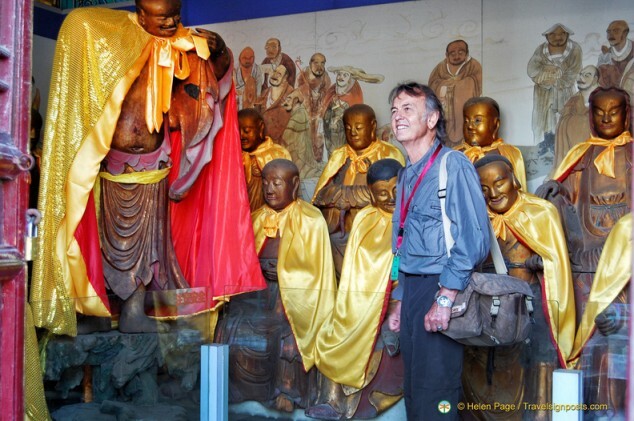 However, a main reason to visit this temple is to see the collection of 90 arhat statues, the remainder of the 500 statues that once existed in Chengde. Puyou Temple was a built by the Emperor Qianlong who is noted for being a prolific builder of palaces, imperial gardens and resorts. 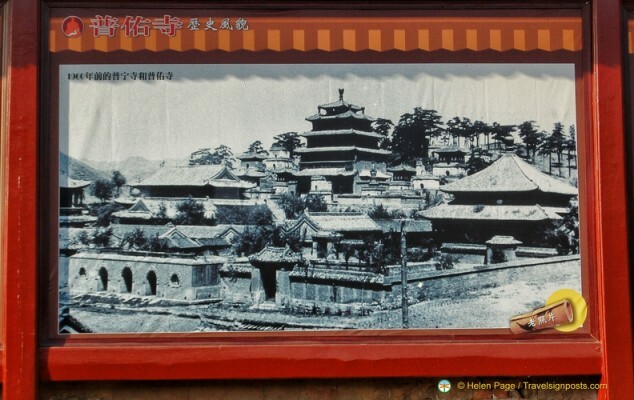 To celebrate the crushing defeat of the Dzungars (a coalition of Western Mongol tribes) and to celebrate his 50th birthday and the 70th birthday of his mother, the Empress Dowager, the Emperor ordered the building of Puyou Temple in 1760. 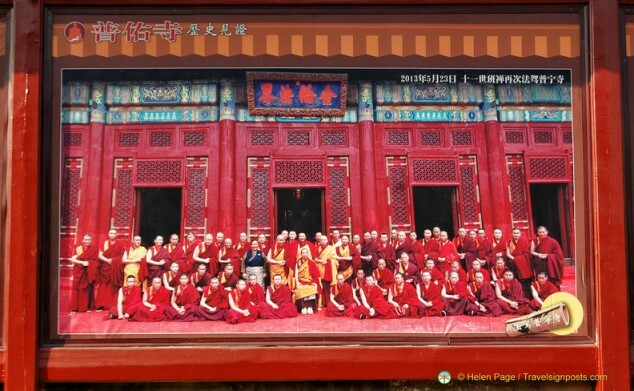 When the temple was completed, it was used as an institute for Tibetan Buddhism Sutra studies. 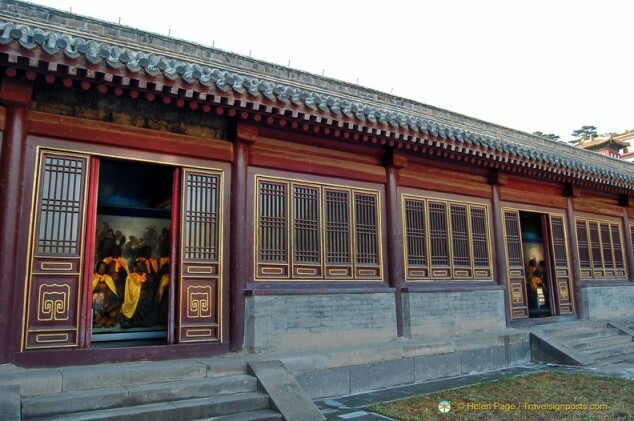 During Qianlong’s reign, there was a large population of some 948-odd lamas in the Eight Outer Temples and as such, Puyou Temple became known as the Academy of Scriptures. Studies included esoteric Buddhist doctrines, medical science and the calculation of the Buddhist calendar. To appease the ethnic minorities and as a symbol of unity in China, the architecture of the Eight Outlying Temples incorporate a combination of Han and Tibetan styles. The front section of are temples are in Han style and the rear in Tibetan style. 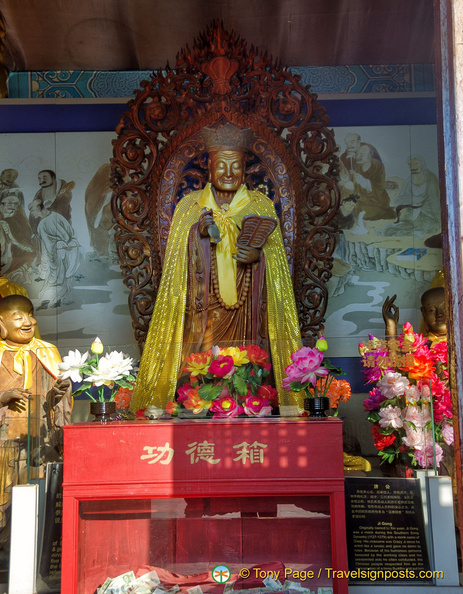 At the Puyou Temple, the Hall of Heavenly Kings is located in the middle of the complex, with the Buddha Hall in the front and the Sutra Tower in the rear. On September 10, 1964, the original Hall of Dharma Wheel, the Sutra Tower, the Grand Hall and the East and West Side Halls were all destroyed “by lighting” during the Cultural Revolution. Covering an area of 9,000 sqm, the Puyou Si complex is huge, but only a small section of it has been rebuilt and is occupied by monks. The main attraction here are two side halls with statues of arhats (Buddhists who has achieved enlightenment) and Buddhas. 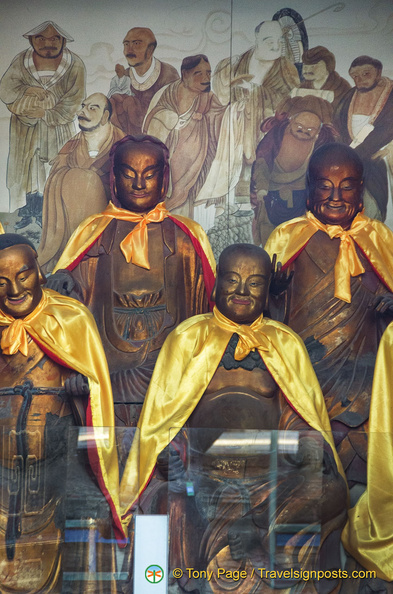 There were originally 500 arhat statues and these were said to have been formerly held in an Arhat Hall in the city of Chengde. When the Japanese invaded in the early 1930s, they stored ammunition in this hall which was later ravaged by fire and many of the statues destroyed. The long rows of arhats, with happy looks on their faces is quite an impressive sight, but unfortunately we aren’t allowed to take pictures inside the hall. Another interesting statue is that of Ji Gong, a legendary folk hero in Chinese culture. For more photos of Puyou Temple, see our Puyou Temple photo gallery Here. Entrance to Puyou Temple is with a ticket for Puning Temple. On the way out there is a colourful “Qing era market” where you can buy all kinds of Chinese souvenirs.